Stockholm (AFP) - Sweden's former foreign minister Carl Bildt has been appointed as an advisor to Russian-controlled investment group LetterOne, the company said Monday, just days after he joined an advisory group to Ukraine's President. Bildt was a vocal critic of Russian President Vladimir Putin and the country's alleged involvement in the Ukraine conflict during his eight-year term as foreign minister, which ended in September. The politician, who also served as Sweden's prime minister for three years in the 1990s, "will advise the LetterOne Group Board", a spokesman for the group told AFP in a written statement. Luxembourg-based LetterOne, led by Russian oligarch Mikhail Fridman, was founded in 2013 and specialises in the energy and technology sectors. 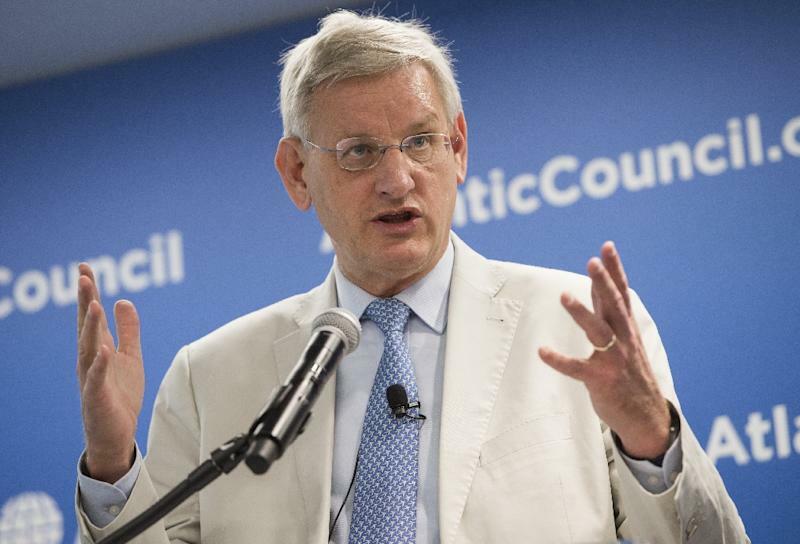 On Wednesday Bildt was also appointed to Ukraine's International Advisory Council on Reforms. The group, advising pro-Western President Petro Poroshenko, aims to improve security in the country which has been ravaged by armed conflict for more than a year. Ukrainian forces have been battling pro-Russian separatists since April 2014 in eastern Ukraine in a bid to prevent the secession of the Russian-speaking regions of Donetsk and Lugansk. Bildt was Sweden's prime minister from 1991 to 1994 and foreign minister from 2006 to 2014. On his Twitter account he describes himself as an "entrepreneur in future and peace". Republican US Senator John McCain turned down a post in Poroshenko's advisory group last week, saying constitutional constraints prohibited him from accepting.